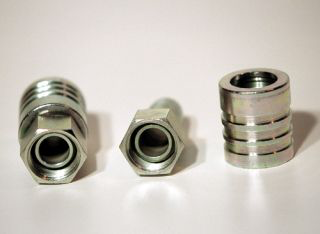 We have the hose and coupling solution for you. From low pressure (suction) to extreme high pressure (6000 psi), come in and see us at Hydratec. We have more experience making hose assemblies than anyone in the province. We have the most diverse selection of couplings in the province. We were also one of the first suppliers of metric couplings in western Canada. We have over 150 different types of metric couplings in stock. If you own or operate any machinery made overseas, you should come and see us first for your hydraulic hose and coupling needs. We have the product and knowledge to get you back working with as little down time as possible.